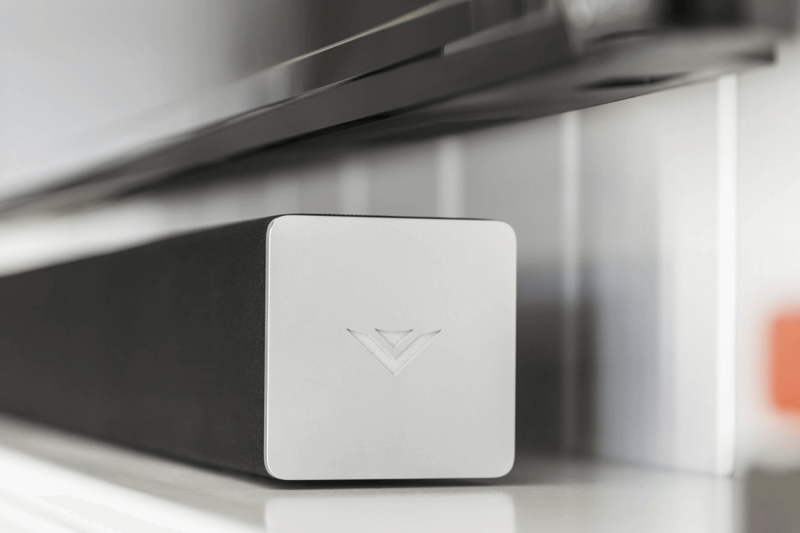 The new technology from the VIZIO sound bar education campaign offers great audio in a stylish compact size. The minimalistic new design is an effortlessly attractive addition to any 32”+ class TV. Blending into the decor of the room, the Vizio 2.0 sound bar has the body style to fit any space and has the size to fit beneath or underneath most flat screens. It also comes with a wall mount if preferred, leaving for a variety of placement choices. It doesn’t take attraction from any features of the room. The 2.0 Sound Bar has two powerful full-range stereo speakers, boosting your audio experience and delivering meticulous clean sound. It delivers up to 95 dB of room filling, crystal clear sound with less than 1% total harmonic distortion. Accompanied with the wireless subwoofer for enhanced bass, and the rear satellite speakers, available to go with the soundbar your home theatre experience is then enhanced to deliver up to 102 dB of volume. The soundbar comes with a remote featuring a built-in LCD display, providing easy to control at a distance volume and settings.